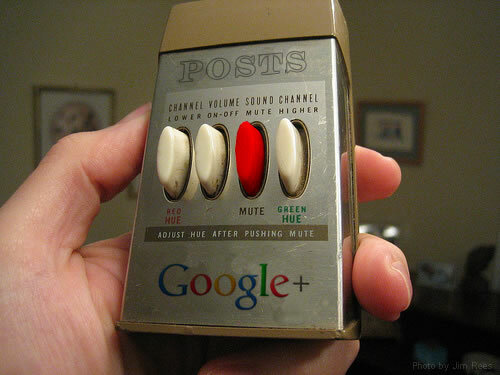 Muting a Post on Google Plus is easy. Don't like a post, no problem...click the mute button. What I would love to see is the ability for Google Plus to learn from my previous mutes. Similar to how Pandora Radio works. The reader (in the case of G+) provides positive or negative feedback for posts in the stream, which are taken into account for future selections. Something like a "mute similar posts" button would be great. I almost always mute posts involving certain subjects. Especially when exploring the "What's hot and recommended" stream. Content creators could also get a better feel for how unpopular certain subjects are, and based on number of mutes, adjust the subject matter or frequency of posts. I am still trying to better navigate the flowing waters of Google Plus streams. Being able to personalize content based on my mute history would make for a much more efficient journey. At least IMHO.